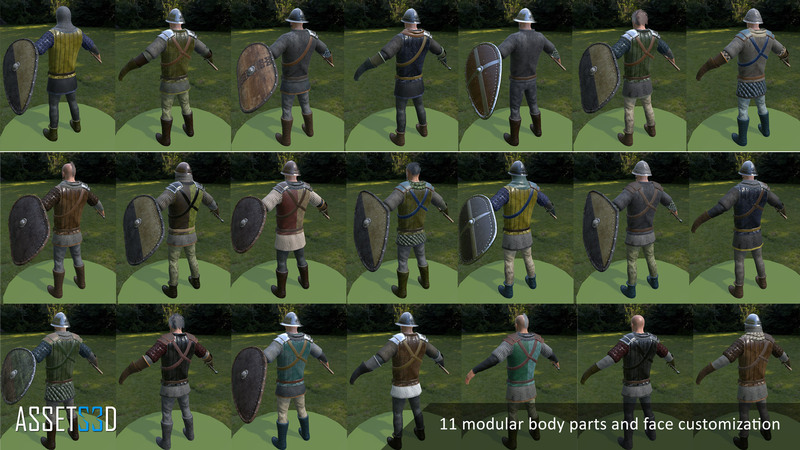 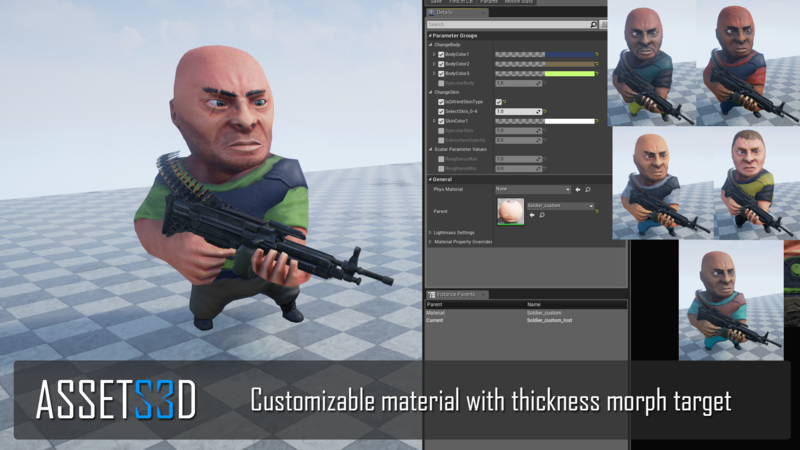 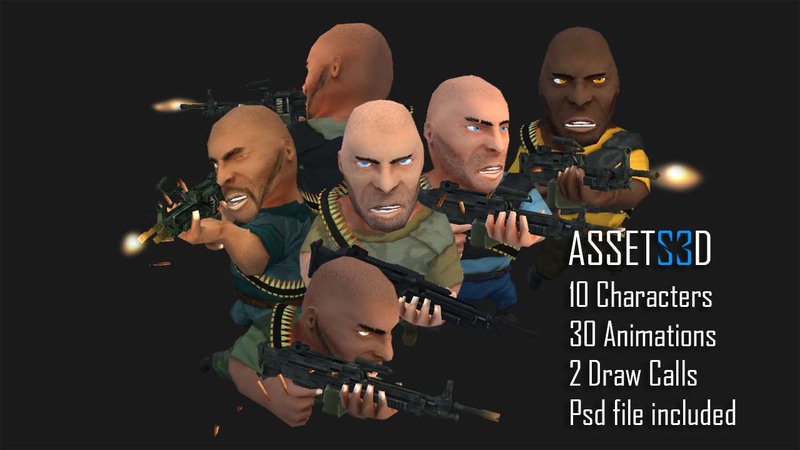 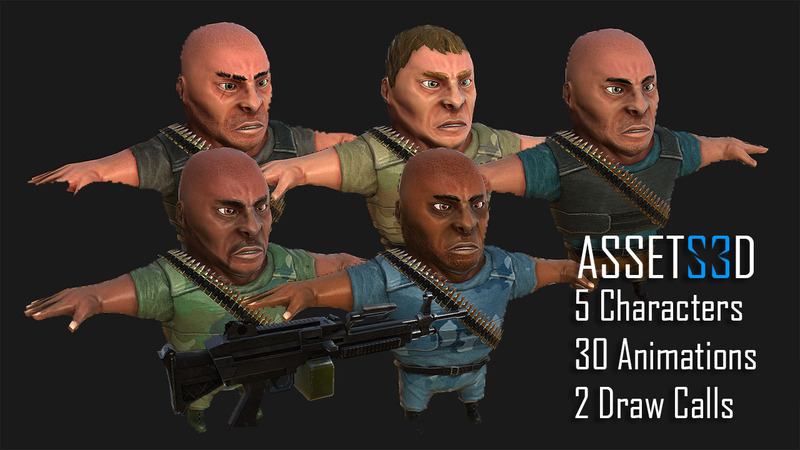 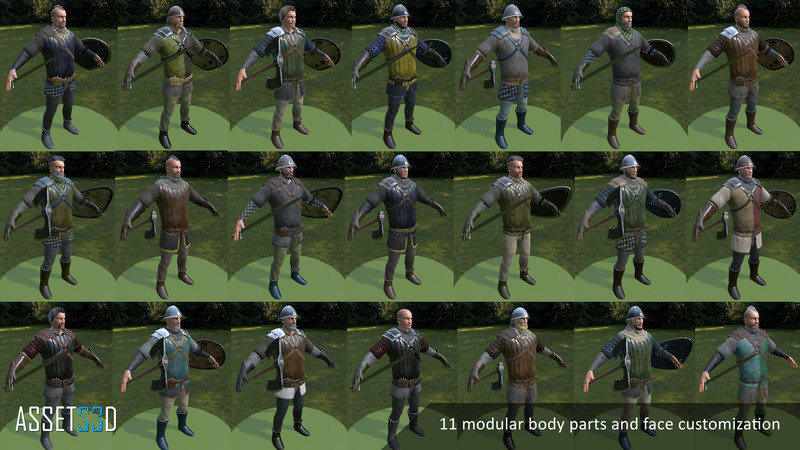 Medium armored warriors with 11 modular body parts with 21 changeable color masks, customizable face blendshapes and procedural materials – unlimited possibilities. 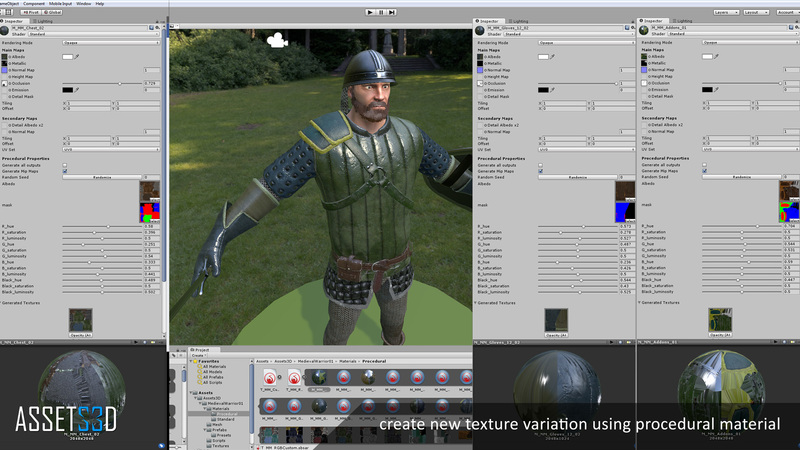 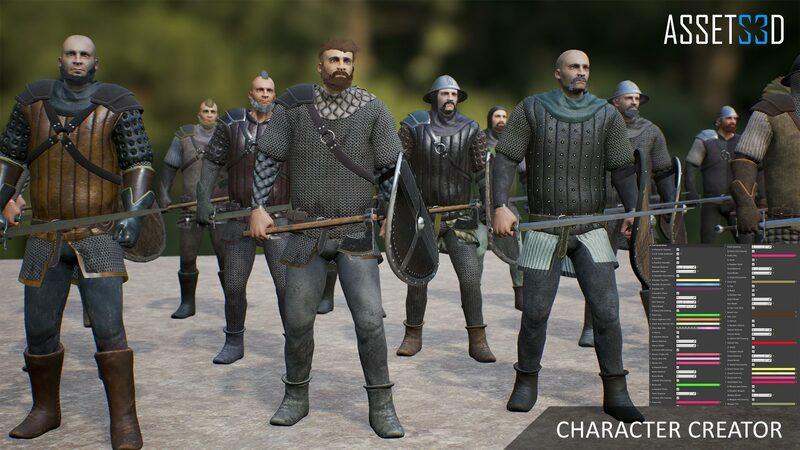 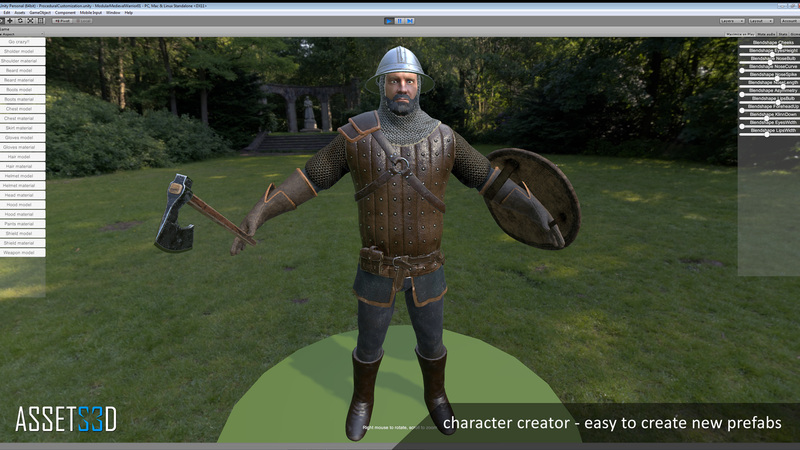 Easy to create new character prefab using Character Creator scene with customization script. 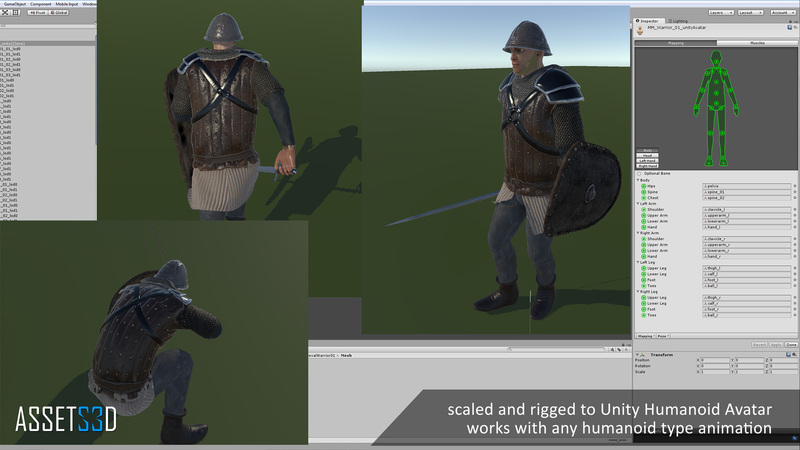 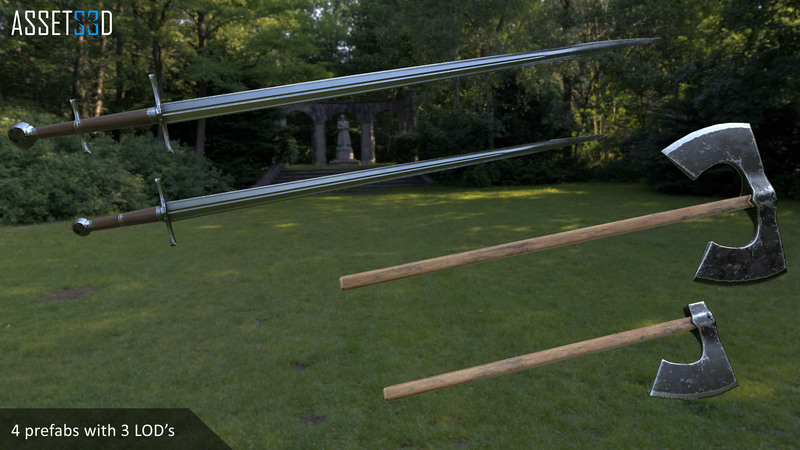 Good for medieval ages or fantasy games. 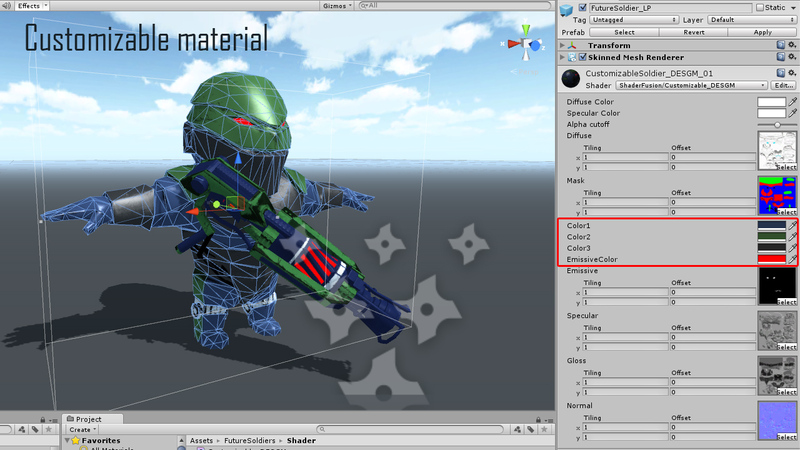 ● Documentation file with tutorial!